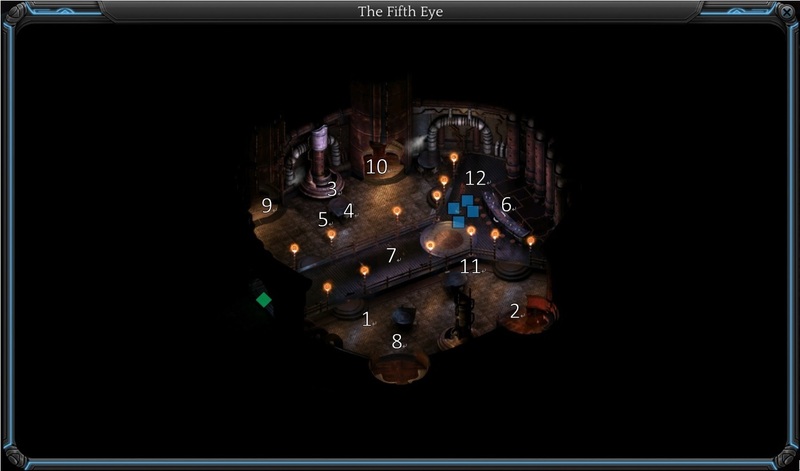 The Fifth Eye in Torment: Tides of Numenera is a bar in Cliff's Edge. Its run by psychics, who particularly like the place, since the building dampens the psychic noise of the city. 2XP, ask Ysg why cant Last Castoff sense him. 3XP, let the Ghostly Woman strangle you. 3XP, ask Ziobe about the metal eye in her head, after the Ashen Imitation quest. 2XP, ask Dhama of the Bloom to tell you about the other people in the bar and keep listening. +1 permanent Intellect pool from O, by asking where it comes from. +4 maximum health after talking to O.
Feriok is just a projection created by Ziobe. If chose not to block, ghostly woman may kill your character, one easy way to reach The Calm. You can gain +4 health from O.